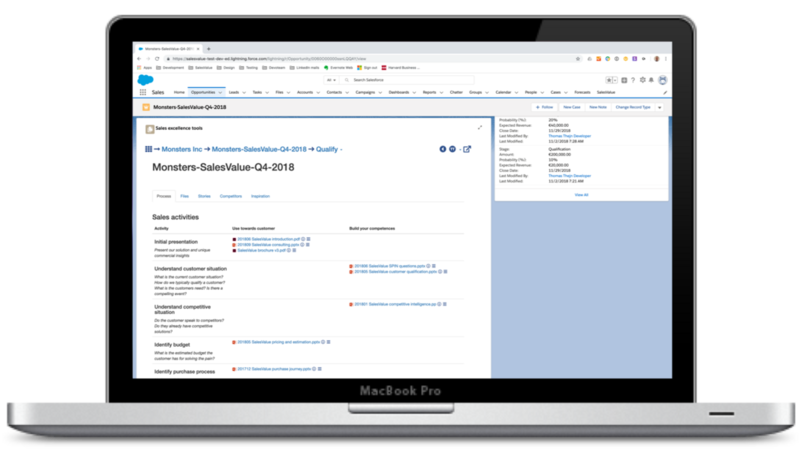 SalesValue is a Sales Enablement add-in to Salesforce and Microsoft Dynamics CRM and that improves productivity and quality through just in time knowledge. Great sales enablement can improve revenue by 10% (IDC). Improve win rates by enabling your sales team better with smart recommendations, global knowledge sharing and effective processes. Your employees will find the right content faster and prepare better content with less effort, through recommendations based on current context and intelligent search across all content. Enable your employees to sell and implement new offerings faster, through easy access to best practice and knowledge from peers. SalesValue helps solve these problems that you and your sales team face all the time. We help your sales team bring value to your customers and you will get loyal customers. We help your marketing and product management identify what is really needed. A lot of knowledge is lost in personal file sales, and can not be found across multiple corporate file shares. We finds the content your sales teams need across all. We help your sales team to find the valuable content created by their colleagues. Use this section to highlight specific details about your company or products. 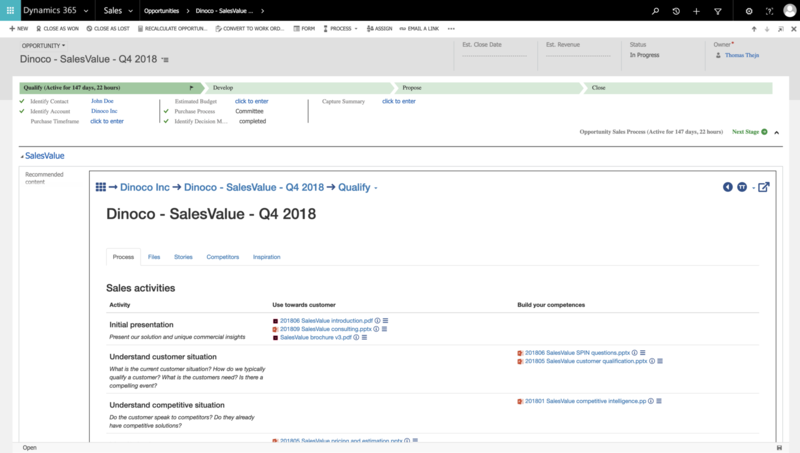 SalesValue is working as an add-in to Salesforce and Microsoft Dynamics CRM, providing the sales team with just in time knowledge based on the context. SalesValue is not a new repository. We add value to your existing file shares like Microsoft Sharepoint, Microsoft OneDrive and Google Drive. SalesValue scans all your organisations file shares and finds the relevant knowledge for your team. Through machine learning SalesValue organises the content, so you can find it when you need it. By searching, using, liking, commenting and sharing real life stories you improve the knowledge. SalesValue helps you manage the content through intelligent and simple workflows. Subscribe to our newsletter and get noticed when we have new tips & tricks for your Sales Enablement. Use this section to list the most recent posts on your blog on for example your home page. Did your organization invest heavily in a CRM solution? Do you want to increase adoption? Do your sales people complain that the CRM system is an activity tracking tool for management and not a tool for them? TwentyThree, the leading video marketing company, has just released a great webinar tool. At SalesValue we were fortunate to be part of the beta program, where we ran 2 webinars for our customers. We recorded the webinars and made several video clips that is now part of our internal sales enablement. 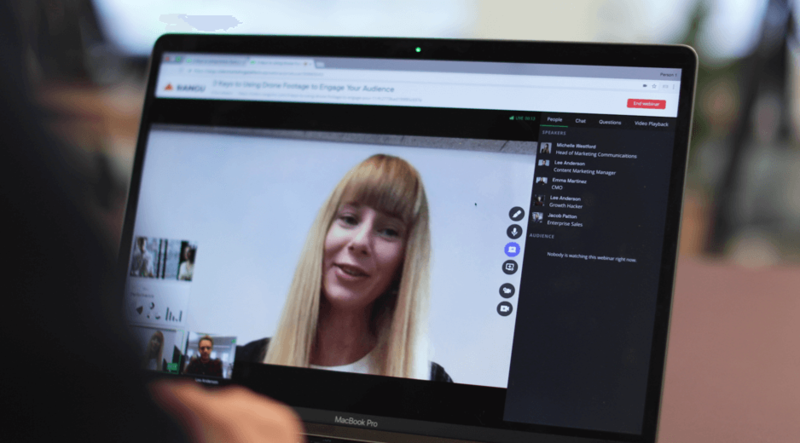 Below you find 5 simple tips on how you can use an advanced webinar tool like TwentyThree to improve your sales enablement. It has been a great and warm summer in Europe, but SalesValue has still been very busy enhancing our solution. So here is a short update of what SalesValue have spend our summer on. It has been a summer of updates for SalesValue. We have improved and added a lot of features.